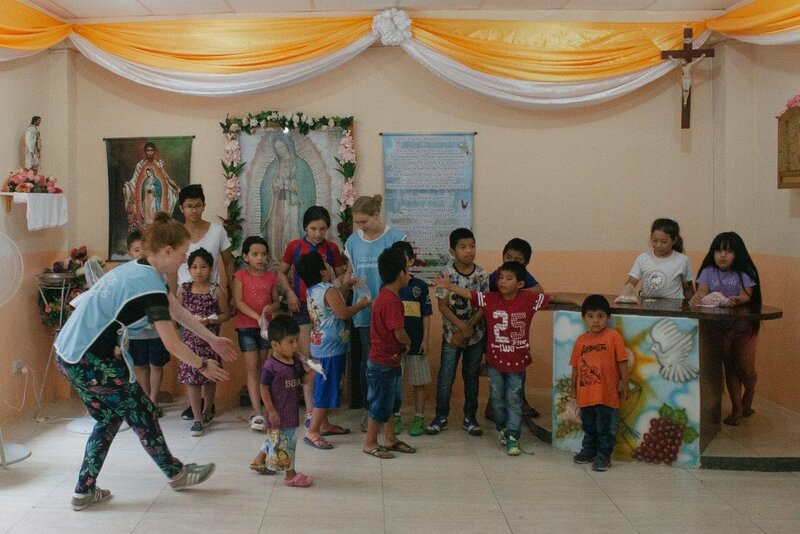 Welcome to Mensajeros del Mundo Volunteer Program! 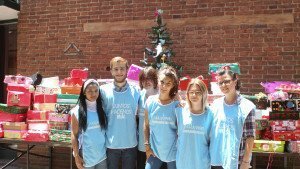 Through our volunteer program you can combine your trip to Argentina with volunteer work, learning Spanish and having cultural experiences in a unique country. 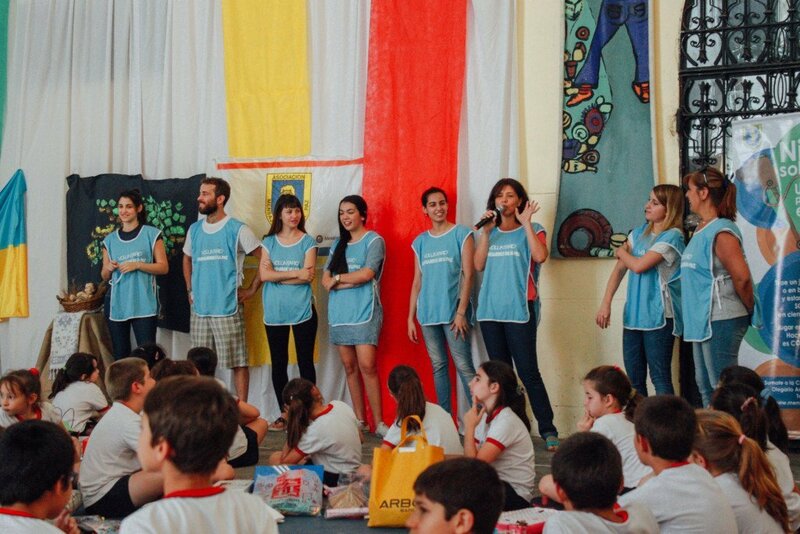 Volunteering in Argentina can be one of the best experiences of your life! 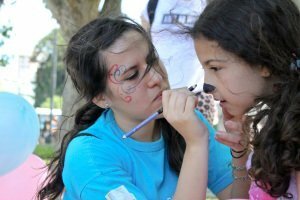 This is an experience that allows you to know the local culture here in Buenos Aires, practice the language, live with a “family” of friends, have volunteer professional experience, and above all, contribute to improving the quality of life of more than 200 children, adolescents and elderly people of our centers. Members of Mensajeros de la Paz coexist in a multicultural environment, work as a team to develop tasks or institutional projects, accompany the beneficiaries in their day to day or through workshops, and collaborate with the needs of our centers and homes. Get to know and share with people from all over the world who share the same values. Be able to use the certificate in your CV. Discover and deepen the functioning of an NGO. HOW CAN YOU BE PART? Fill out the contact form with your name, last name, email and a comment, click “enviar” to send and we will reply to you as soon as possible. Skype chat with one of our volunteers and staff. 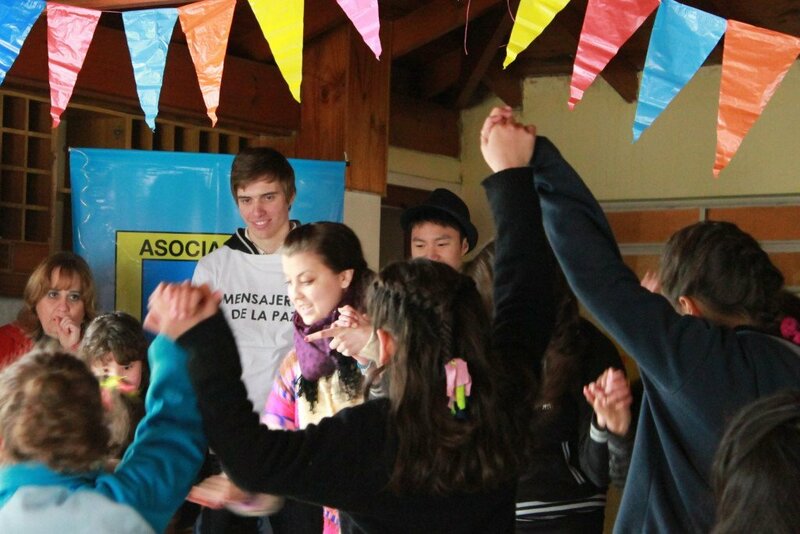 My social practice was incredible, along with 10 other volunteers we organized a multicultural fair in favor of the NGO. Our international volunteer program is called “Mensajeros del Mundo”(Messengers of the World) and includes accommodation in our volunteer house. One of the objectives of the program is to train young people to become social leaders. 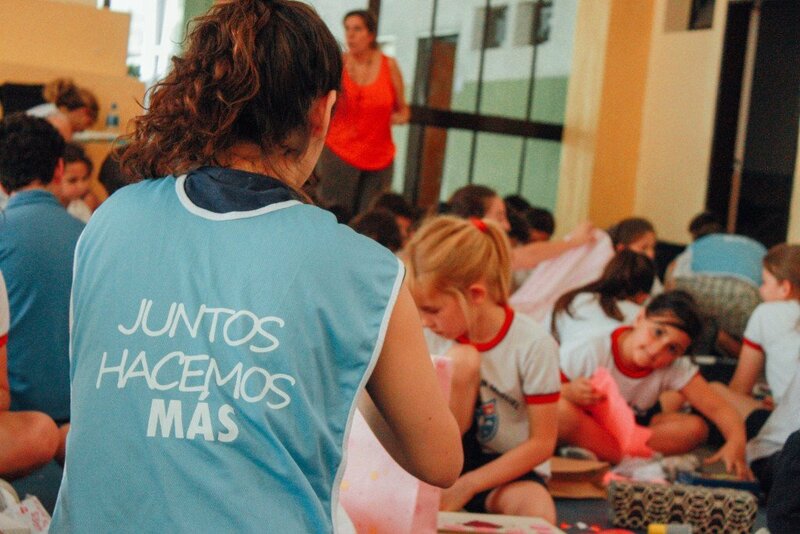 The Mensajeros de la Paz members coexist in a multicultural environment, work as a team to develop tasks or institutional projects, accompany the beneficiaries in their day to day and / or carry out workshops, always collaborating with the needs of our centers and homes. We are in the city of Buenos Aires, Argentina. The office is located under the house of the volunteers in the street Olegario Andrade 358, in Caballito, a quiet residential neighborhood in the heart of the city. It is 5 minutes walk from Av. Rivadavia, where more than 15 lines of buses and subway line “A” are located. Organizing or participating in the workshops for our grandmothers home, for our day center with street adolescents or for our adolescent girls and child girls home. 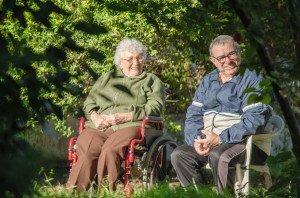 Help in the maintenance of the garden and the home garden of grandmothers. Carry out institutional tasks together with the staff (fund development, marketing, event organization, social networks, activities for foreign volunteers). Offer school support for children on Saturdays. 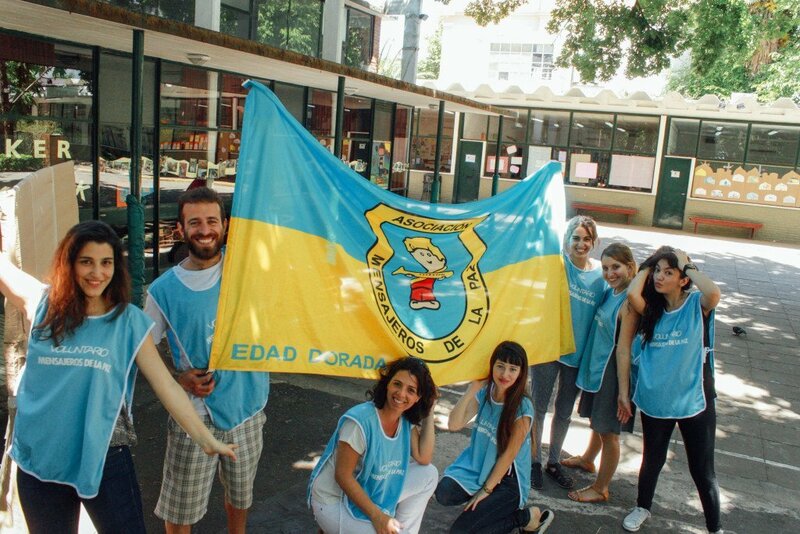 Participate in the days of diffusion in the park on Saturdays promoting our campaigns. All of our volunteers and interns are accompanied by the Program Coordinator and their Area Director. I spent an unforgettable year at Mensajeros de la Paz, I recommend it! The International Volunteer Program offers accommodation in our “Casa del Mundo” which has shared rooms, a large living room, a study room, 4 bathrooms, an equipped kitchen and a nice patio with barbecue. In addition we have WiFi and cleaning service of common spaces (although each volunteer is responsible for keeping the house clean). At home you will meet with young people from all over the world who share the same values of community participation and global citizenship. From Mensajeros de la Paz we believe that the experience of sharing a space like “Casa del Mundo”(House of the World) not only contributes to personal experiences but also enriches the volunteer.